The paint on the Lady Jane was in rough shape. Here’s a shot. Coming off in flakes, and generally just a mess. I have made significant progress. I had been scraping the paint, but a few weeks ago, i noticed something else. 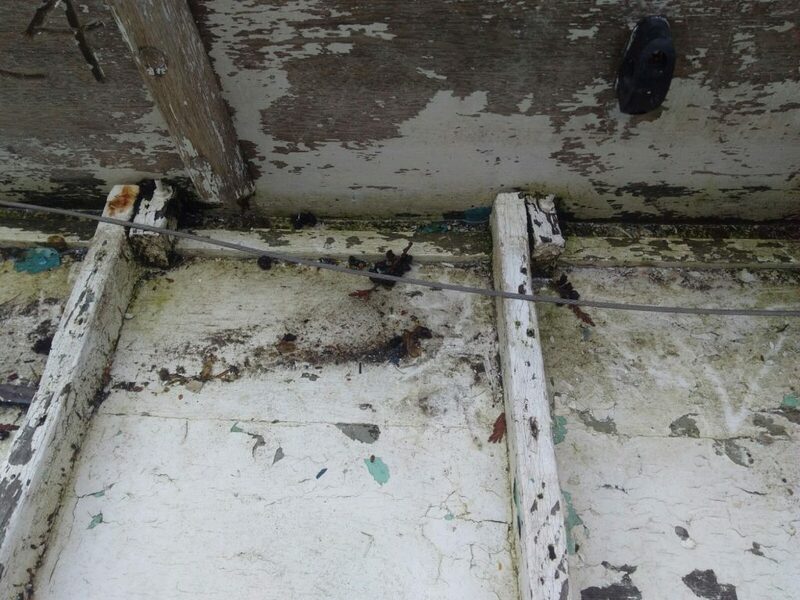 See, wooden boats of this style of construction (carvel planked) are sensitive to moisture changes. The wood planks swell when they get wet, and shrink when they dry out. the boat had soaked up alot of water in the time it was outdoors after i got it, so the seams looked tight. however, after a while in the garage, a few of the seams had opened up. some to almost 1/8 of an inch. 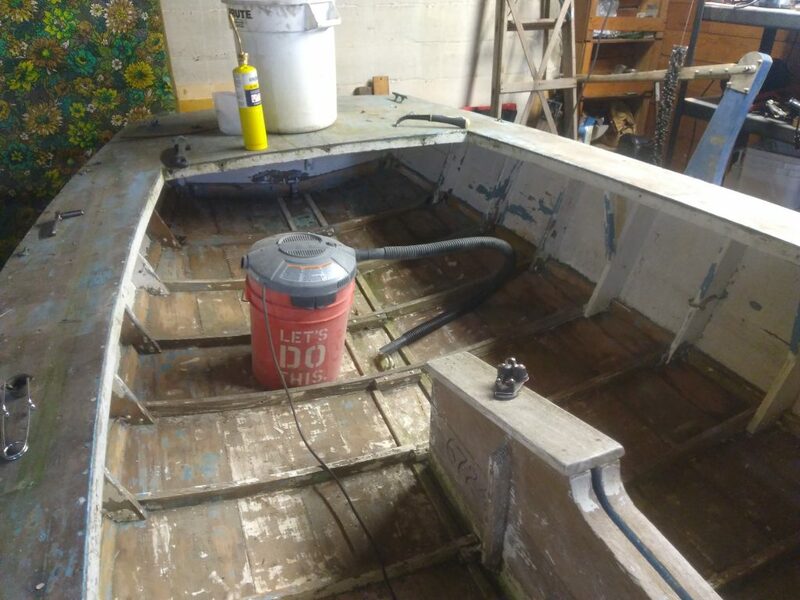 I didn’t want to load the seams up with sanding dust, so i decided to try and soak the boat to swell them shut. I got a garden sprayer from the hardware store, and after sea water was sprayed on all surfaces about twice a day for a 3-4 days, it had indeed swelled up totally tight. it’s amazing how much this boat moves with the humidity. I’ve removed all the paint from the inside of the bottom, and am starting on replacing ribs. I’ll cover that next post, along with a discovered problem i’m not sure how i’ll fix.